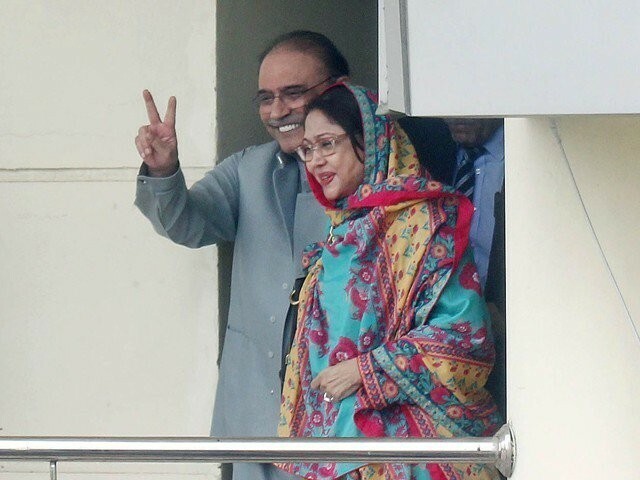 ISLAMABAD: An accountability court (AC) on Monday directed the National Accountability Bureau (NAB) to re-submit case record pertaining to mega money laundering and fake accounts case against former president Asif Ali Zardari, his sister and others after rectification. The registrar of the anti-graft court told the NAB that the case record, submitted by the department, was incomplete and not properly arranged. It asked the bureau to resubmit it after necessary rectifications. The Federal Investigation Agency (FIA) produced the case documents against Aslam Masood, the chief financial official of Omni Group, and others before the court in the presence of NAB officials. After scrutiny, the registrar office returned the record to NAB declaring it incomplete and not properly arranged. On the request of NAB, an accountability court on Monday granted ten-day physical remand of two officials of Karachi Development Authority (KDA) in the fake accounts case. NAB officials produced the two accused including Karachi Development Authority’s (KDA) Director Najam Zaman and former head of its special projects department Hassan Memon before Judge Muhammad Bashir and requested for their physical remand. The judge directed the NAB official to produce the accused again on March 28, granting the ten-day remand request. During the hearing, the court allowed the accused persons’ family to meet them in courtroom. However, the judge turned down the request of Zaman’s wife, seeking permission to deliver home-cooked meal to accused in NAB custody. The judge remarked that who would be responsible if the accused was given poison in food. NAB had good arrangements in this regard, he added. It may be mentioned that the same court had already handed over three accused including Abdul Jabbar, Muhammad Bashir and main accused Land Utilization Department (LUD) Secretary of the Sindh Board of Revenue Aftab Memon to NAB on physical remand. NAB would produce them before the court on March 21.